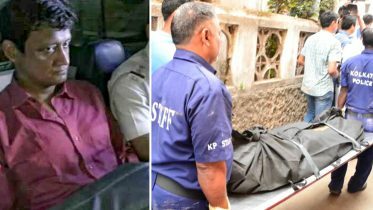 Priyanka Chopra is one busy lady. 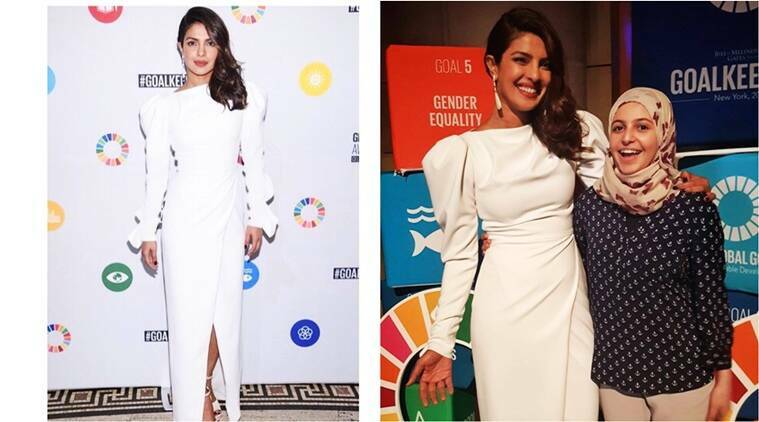 After slaying the red carpet of the 69th Emmy Awards in Los Angeles, Priyanka headed straight to New York City to attend the UN Global Goals Awards. There she spoke about the importance of empowering girls and also met the youngest goodwill ambassador of UNICEF, Muzoon Almellehan who is also known as The Syrian Malala. 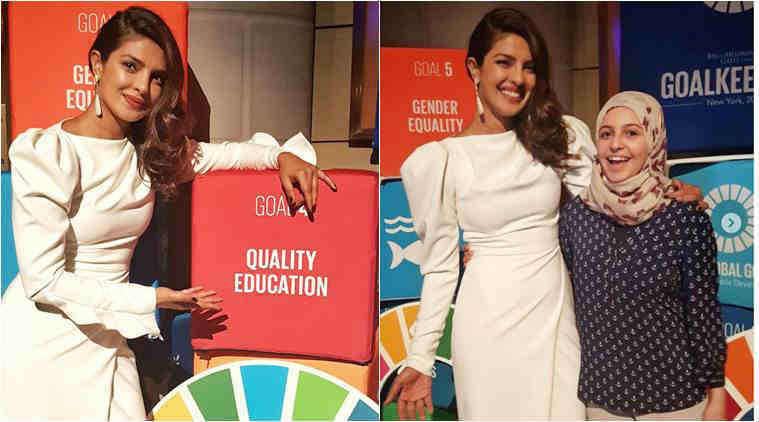 At the awards ceremony which acknowledges the efforts of girls in changing their lives for good, Priyanka presented the Leadership Award to an Indian girl Ria Sharma who has been working for the acid attack survivors under her organisation, Make Love Not Scars (MLNS). “Honored to have participated in the Global Goals Awards tonight at the UN General Assembly in NYC. These awards highlight the role girls play in changing their lives and in making progress towards achieving the Sustainable Development Goals (SDGs). 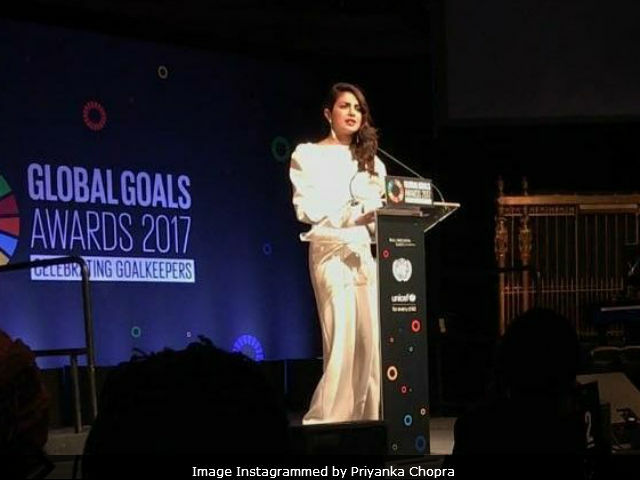 Equally proud to have presented the Leadership Award to the amazing @ria13sharma from India for her stellar work for acid attack survivors,” read the caption of Priyanka another photo from the event. Earlier, the Quantico actor visited Jordan and also spent quality time with the children there. On her last day in the city, the actor had the privilege to meet Queen Rania there. 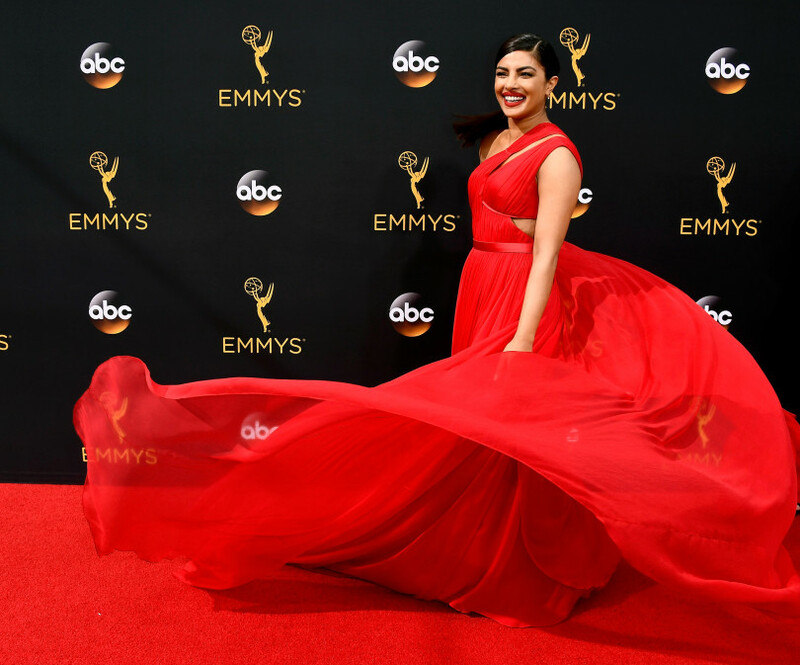 Be the first to comment on "Priyanka Chopra wants to empower, educate and create opportunities for girls"